Find breath-taking, white sand beaches on any island with our public beaches access map or deserted beaches if you're lucky. 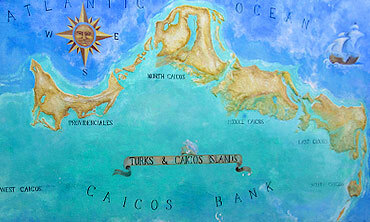 Take a closer look at the Turks and Caicos comprising of eight major islands and cays. Use these maps and find your next point with ease. Explore Turks and Caicos’ culture preserved by time with natural and man-made landmarks that provide insight on our rich history. Our turquoise waters are unique in that awesome snorkelling sites are only a few feet from the beach. Here the sea below is as amazing as the land above. Come dive into one of the best underwater experiences in the world. 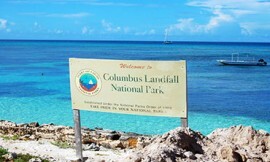 Turks and Caicos’ unspoiled landscape and tropical weather set that stage for a memorable hiking and biking experience. 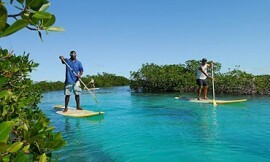 The turquoise Caribbean Sea makes kayaking and SUP an ideal way to explore the Turks and Caicos Islands. 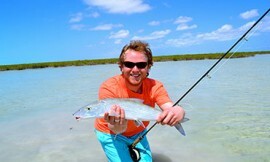 The rich waters surrounding the Turks and Caicos offers a fishing adventure unlike anywhere else in the world. Horseback riding on white sand beaches is like no other. Well trained and friendly horses make's any beach stroll unforgettable. Our clear and calm waters creates the perfect setting for professionals and amateurs to develop their skills. 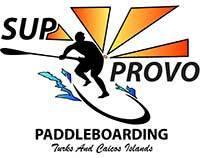 Established to protect our precious wildlife, and to preserve the natural habitat of the Turks and Caicos Islands. The beautiful by nature Turks and Caicos Islands, with over 33% of its entire mass for preservation purposes, creates a haven for any eco-tourist. Whether riding on a horseback or cycling on foot trails, a different side of the Turks and Caicos is revealed on Eco Tours & Excursions. 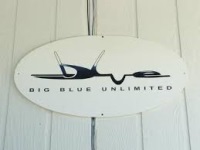 Enjoy a 1/2 or full day deep sea fishing for ‘the big ones’ with knowledgeable local guide. 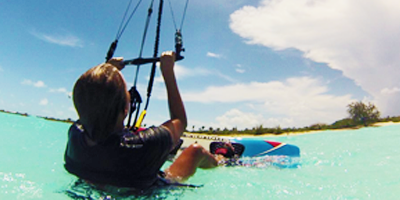 Combine trails and waves in this one-of-a-kind adventure, the Horseback Ride ‘N’ Swim! 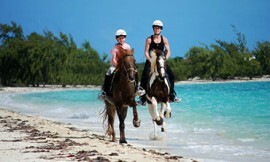 Ride horses through Grand Turk’s backcountry trails, and swim horseback in the Caribbean Sea! Deep sea fishing Turks and Caicos is an experience not to be missed. The scream of the reel, the bend of the rod and the flash of silver deep below is sure to be a lifetime memory! 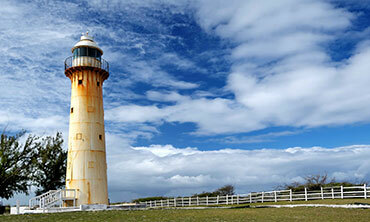 Island Tours & Excursions offers fully-inclusive tour packages to our guests. These include, full day North & Middle Caicos exploration; full day scooter Tours on the island of Providenciales and full and half day boating excursions. 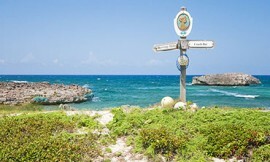 Crossing Place Trail, a historical and scenic hiking and biking trail on the bluffs of Middle Caicos. Offering the finest in sport fishing, snorkeling and island hopping excursions in Providenciales and the surrounding islands and cays. Join our tournament winning crew for deep sea, bottom/reef or flats fishing; explore the coral reef and stunning secluded beaches; discover the outer islands and cays. Adventure our relaxation, you set the pace and we’ll take you there! First class service, professional, fun and friendly crew, memories to last a lifetime. The National Trust is a non-political, non-profit organization mandated by the TCI Legislature to safeguard the natural, historical and cultural heritage of the Turks and Caicos Islands. 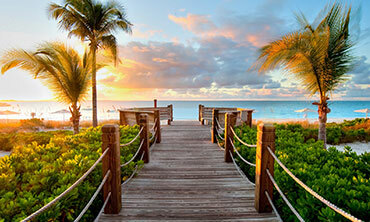 Find out more about fishing in the Turks and Caicos here. 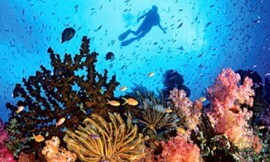 Observe the relationship of beautiful underwater creatures and their environment in a comfortable semi-submerged vessel. Suitable for all ages. 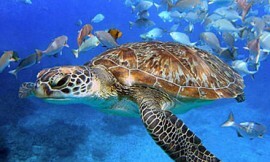 Daily tours to the reef from Turtle Cove, Providenciales.